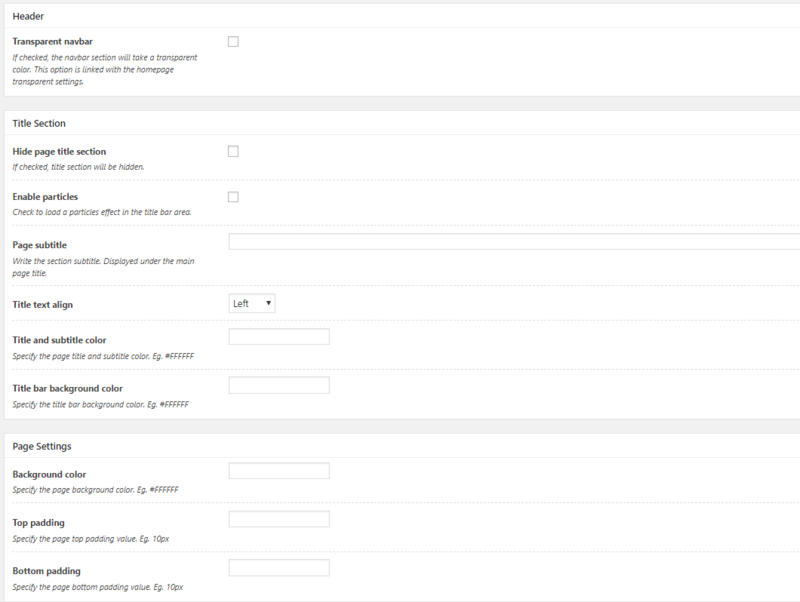 At the bottom of your admin single page you’ll find the page options. These options are available only for Pages and Portfolio project pages. Transparent navbar – If checked, the navbar section will take a transparent color. This option is linked with the homepage transparent settings.